India’s tigers have been in the crosshairs for centuries, with elite safaris dating back to the early 16th century. They rose out of Mughal Emperor Jalal-ud-Din Muhammad Akbar’s passion for big game: He began a tradition of royal hunting, or shikar, that was carried on by Mughal rulers until the dynasty fell in 1857. Paintings from the period depict Mongol, Rajput, Turk and Afghan nobility hunting from elephant or horseback. These outings were considered exotic, heroic sport—and tigers were the ultimate trophies. 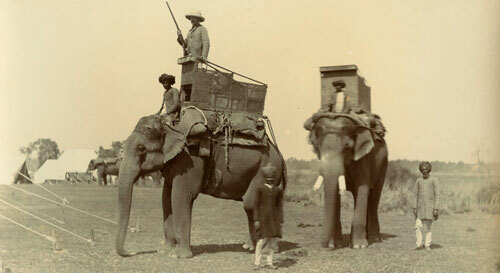 Staging elaborate big game hunts was also a favorite pastime for the British Raj that succeeded the Mughals, an activity that showcased their royalty, machismo, power and wealth. They took out tigers with reckless abandon, along with their Indian counterparts that ruled (nominally) sovereign “Princely States.” Kings and lords, generals, and Maharajas went out in large parties, carried by 10, 20, 30 or even 40 elephants; their servants often drugged and baited tigers before they arrived so the hunters were in little danger. They legitimized the slaughter by vilifying the cats, casting them as terrible, bloodthirsty beasts with an unquenchable desire for human flesh. After ascending the throne in 1911, King George V and his retinue traveled north to Nepal, slaying 39 tigers in 10 days. Colonel Geoffrey Nightingale shot more than 300 tigers in India. In the 1920s, Umed Singh II, the Maharaja of Kotah, modified a flaming red Rolls Royce Phantom for tiger safaris in the Rajastani hills, outfitting it with spotlights for night hunting, a mounted machine gun and a Lantaka cannon. Newly-crowned Rewa kings in Central India thought it auspicious to slay 109 tigers after their coronation. Shooting a tiger was a coming-of-age ritual for young Indian princes. According to historian Mahesh Rangarajan, “over 80,000 tigers…were slaughtered in 50 years from 1875 to 1925. It is possible that this was only a fraction of the numbers actually slain.” Not all were trophy-hunted: In some regions, the cats were considered vermin, systematically exterminated with incentive from government bounties. The killing escalated after 1947. Independence ushered in a hunting free-for-all similar to the 1880s shooting spree that decimated bison herds on the American plains. Anyone who laid hands on a gun joined in. Soon after, hunters streamed in from around the world, seduced by the guaranteed premiere trophies advertised by travel agencies—tiger, elephant, rhino, lion, and other iconic species. The Maharajas created staggering new hunting records. In a letter, the Maharaja of Surguja told wildlife biologist George Schaller that by 1965, he’d bagged 1,150 tigers. Because the biggest animals made the best trophies, the largest, strongest cats disappeared from the gene pool. And then, as models and Hollywood starlets draped themselves in cat skin coats, a fashion craze for fur took hold in the U.S. and Europe. A tiger pelt fetched $50 in India during the 1950s; 10 years later, rugs and coats sold for $10,000. When conservationist Anne Wright explored markets in Delhi—where shelves groaned with skins—she found that the vast majority lacked proper permits and were being exported illegally. Things changed, however, when Indira Gandhi took the reins as prime minister in 1966. She became what tiger expert Valmik Thapar calls “India’s greatest wildlife savior.” She spearheaded a fight against the growing tiger crisis, outlawing the export of skins in 1969 and appointing a Tiger Task Force two years later. At the close of the 19th century, when Rudyard Kipling penned the Jungle Book, between 50,000 and 100,000 tigers were thought to roam the Indian subcontinent; by 1971, about 1,800 were left alive and the Tiger Task Force predicted they would be extinct by the end of the century. That year, the Delhi High Court banned tiger killing, despite opposition from the trophy hunting industry that was raking in $4 million a year. Then in 1973, Gandhi launched “Project Tiger,” which still stands as the world’s most comprehensive tiger conservation initiative. She established nine tiger reserves, hired guards to patrol them, and forcibly moved whole villages outside their perimeters. 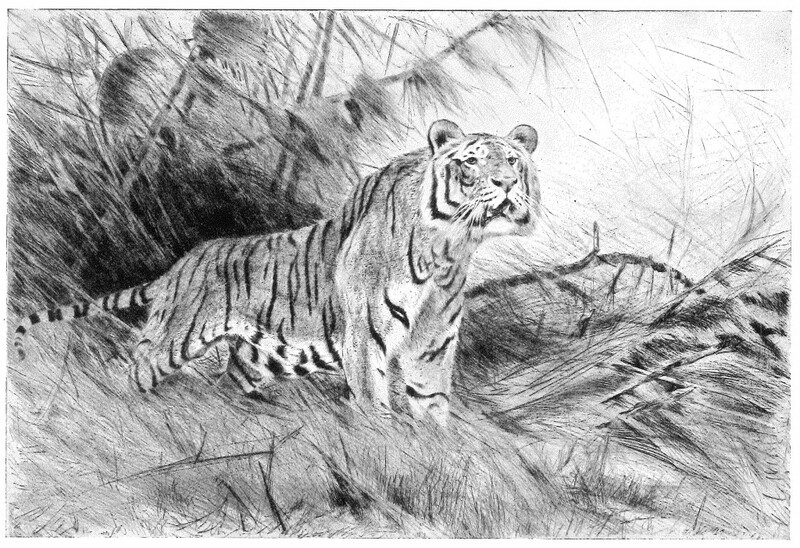 At the time of Gandhi’s assassination in 1984, tiger numbers topped 4,000, their prey had increased, and India had created a global model for wildlife conservation. “Tigers flourished beyond our wildest dreams,” said Belinda Wright, Anne’s daughter and director of the Delhi-based Wildlife Protection Society of India. But by the late 1980s, tigers began to vanish. Rapidly. Biologists and conservationists who reported disappearances to officials were ignored. The seizure of 2,200 pounds of tiger bone (from about 80 tigers) in Delhi in August 1993 revealed what was happening: Poaching for the traditional Chinese medicine trade had hit the Subcontinent, sparking what was being called “the second tiger crisis.” To meet a growing demand for tiger parts, the cats were being poisoned, shot, and snared across India. Meanwhile, wildlife wardens and Project Tiger officials dismissed the warnings, clinging to inflated population numbers based on flawed data. Their 2002 census counted a whopping 3,642 tigers. They estimated populations from paw prints, an unreliable method known to re-count the same cats multiple times. But the scandal went public in June 2004 when national headlines proclaimed the unthinkable: Not a single tiger survived in Sariska Tiger Reserve, despite government claims that 18 tigers lived there. When three men were later arrested, they described how easy it was to kill them: Many of the guard’s walkie-talkies were nonfunctional and none of the 300 guards were at their posts during monsoon season. The poachers had even brought in live bait and shot tigers over their kills. Project Tiger had become, as Valmik wrote, “a success story gone horribly wrong.” A 2006 auditor’s report found the project riddled with corruption and neglect. Funds had been skimmed by state governments for other purposes. Guards that quit or retired were not replaced; 30 percent of posts were vacant and the average ranger was over 50 years old. Those that remained walked dangerous patrols armed with bamboo sticks or ancient Lee-Enfield rifles—50 year-old British Army-issue weapons, outgunned by poachers toting assault rifles or AK-47s. Ultimately, the embarrassment over extinction in Sariska prompted the creation of a new entity, the National Tiger Conservation Authority. The Wildlife Institute of India’s grim 2008 report shocked India and the world with its findings: A far more accurate camera trap survey counted just 1,411 adult tigers—after a $400 million investment over 34 years to save them under Project Tiger. Two years later, a wider census raised tiger estimates to 1,706. Poaching continues to skyrocket, and over the last three years, tiger deaths (from all causes) have been high: 71 in 2011, an all-time record of 88 in 2012, and 80 in 2013. A new census is currently underway. India and the world awaits the results: The country is home to over half of all remaining wild tigers.